I had just told my dad I’d been signed off work after a scary hospital stay and introduction to the term ‘complicated pregnancy’. Minutes before, my doctor had told me to pretend I was back in hospital and to keep my heart rate as low as possible. “And this is not the time to spring clean”, he said, as though he could read my mind. I promised I wouldn’t but couldn’t help my mind racing to what – anything – I could do. What kind of diet or exercise could I practice to get better? “No.” A good doctor knows grammatical errors will increase their words’ theatrical effect. That’s that, then. I was signed off and under house arrest for 6 weeks. During that time, and since then in a new, different chapter of life, ‘being still’ has, perhaps paradoxically, been something I’ve had to actively do. 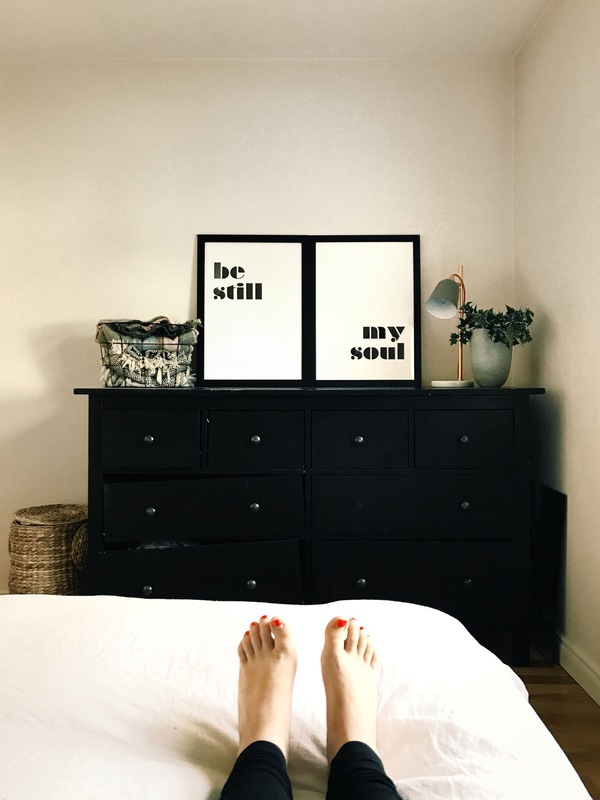 To me, it looks like daily choices and rhythms that remind me to pause – to stop, even; to choose stillness over other things…things that I’m more used to. It looks like switching things off, embracing space and silence, letting go of endless lists, saying yes and saying no, logging out. It means learning to breathe again, taking my time as I inhale each mouthful of air deep into my lungs and notice how it travels through my body before it switches places with the next. Being still is mindful, active, deliberate. But there’s nothing revolutionary there, is there? I could have written that paragraph in the doctor’s office. What’s taken me by surprise over the last few months, though, is what I’ve lost as I’ve started learning to be still. I’ve lost part of my identity. I’ve always been a ‘doer’. A list-maker. An achiever. I realised, only after it was taken away from me, that my ability to actively contribute something to the world was an big way in which I viewed myself. I found my worth in what I could do, or what I could give to those around me. And when I was unable to do that, something had to change. My friend Emma was helping me think this through recently, and I described myself as a tree that wasn’t flowering (I realise this is an ironic statement to make when growing a HUMAN CHILD, but it’s how I felt). I lost my fruit, and became a winter tree. This didn’t sit well with me. Through winter’s clarity and rest, I have learned that even when I am completely still, I am valuable. Losing my leaves has brought me the gifts of winter…gifts that I’m still learning to receive. My value isn’t found in what I do or don’t do – it runs deeper into my roots and very core than any leaf or branch could possibly convey. 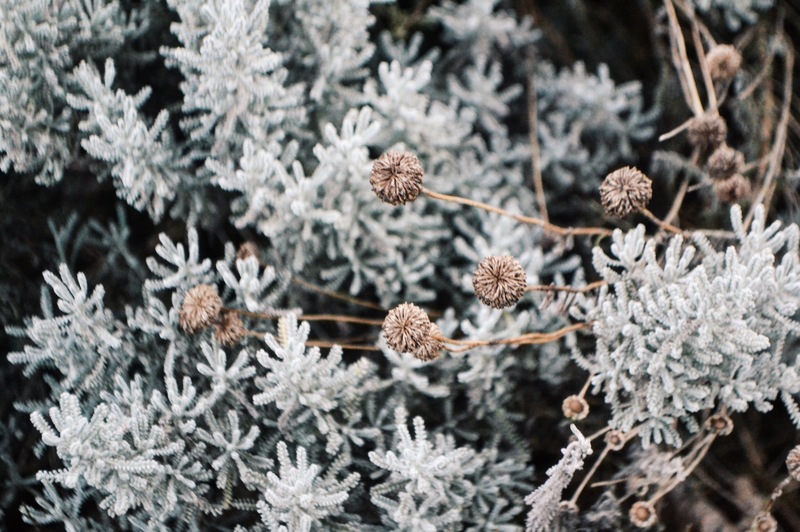 Here’s to winter and embracing the stillness. PS: I really recommend both Palmer’s Let Your Life Speak and Brown’s The Gifts of Imperfection.